The New Forest was established in 1079 by William the Conqueror as a royal hunting venue. I was interested to learn recently that the New Forest has more visitors per square kilometre than any other national park (7.5 visits/km2), and that dog walking was the most common reason for visiting the New Forest throughout the year. This would have been inconceivable when the New Forest was first created in 1079, because the Forest was preserved solely for the King’s hunting pleasure. Indeed, William the Conqueror established harsh laws, including blinding, castration and death, to anyone found guilty of disturbing the game animals (venison) and damaging the vegetation (vert) on which they depended for food and shelter. The Forest Laws he created to preserve his interests prohibited the setting of traps or snares; forbade anyone to carry weapons, especially bows and arrows; and, introduced a procedure to prevent dogs from chasing deer and other game animals by mutilating their front paws. This barbaric practice, known as ‘lawing’ or ‘expediting’, ensured that dogs kept by the people living in and around the Forest were lamed enough to prevent them from chasing and bringing down the venison, but not disable them so much that they were prevented from protecting their master’s home or person. 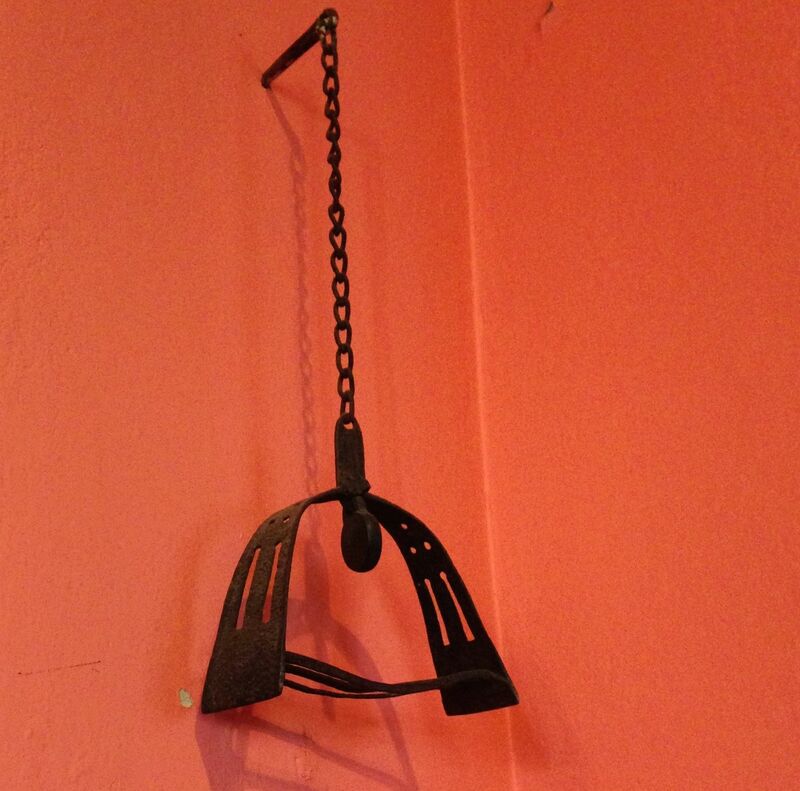 The instrument known as ‘Rufus Stirrup’ that hangs in the Verderer’s Court was used specifically to measure dogs. * If the dog was able to fit through the middle of the stirrup, which most small terriers would probably be able to do, they were not maimed, if, however, they were too big to pass through they were permanently lamed. The process of ‘lawing’, or ‘expediting’, is described by one chronicler as follows: ‘the mastiff being brought to set one of his forefeet upon a piece of wood eight inches thick and a foot square, then [a man] with a mallet, setting a chisel two inches broad upon three claws of his forefoot, at one blow doth smite them clean off’. As well as having the middle three toes removed some dogs even had the heel-pad of each front foot removed too. However, the Charta de Foresta of 1217 (an extension of Magna Carta), known as the Commoners Charter, granted two major concessions to the commoners living under the oppressive Forest Laws. 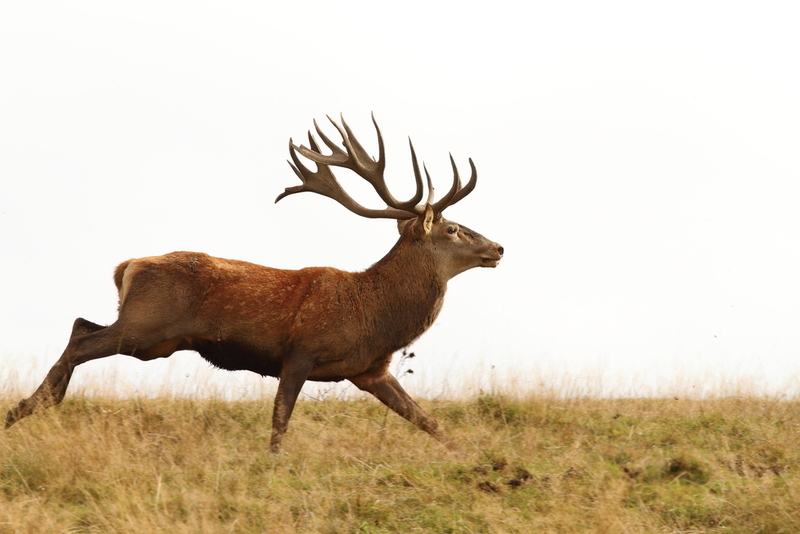 Firstly, it codified the forest laws and lessened their severity, substituting the loss of eyes and testicles – for people offending against the venison and vert – with imprisonment for up to a year and a day, with release at any time if bail could be made. Secondly, the Charter reduced the custom of dogs being lawed to places where the practice had existed at the time of the coronation of Henry II. Nevertheless, exceptions could be made. In December 1279, for example, Isabel de Fortibus, Countess of Albemarle, made a plea that the dogs of herself and ‘her men of Old and New Lymington should be quit of the expeditation of their dogs.’ The court granted to her that up to thirty-two dogs were exempt from the mutilation of their forepaws.Lucky dogs! In time the maiming of dogs could be avoided on payment of a fee, and this method seems to have become the standard practice. Over the years the enforcement of dog maiming was relaxed and eventually the barbaric practice was abandoned altogether. I have no doubt that our modern day canine visitors to the New Forest are vastly relieved with this development. Rufus Stirrup was used to measure dogs – small dogs were left unharmed, bigger dogs were lamed. *Rufus Stirrup is thought to be a Tudor replica and not the original measuring instrument. For information about responsible dog walking download the New Forest dog walking leaflet. New Forest National Park website, ‘Facts and Figures – New Forest National Park Authority – 2007’: www.newforestnpa.gov.uk/download/…/tourism_and_recreation_-_facts_and_figures [accessed 11th June 2017] NB: These figures are over 10 years old, and need updating, as they probably woefully underestimate today’s visitor numbers. John Manwood, Manwood’s Treatise of the Forest Laws (London, 1598), p.96. Emma Griffin, Blood Sport: Hunting in Britain Since 1066 (Yale University Press, 2007), p. 36. D. J. Stagg, New Forest Documents: A.D1244 – A.D.1334, (Trowbridge, 1979), 285, p.120. This entry was posted in Uncategorized and tagged canine, Charta de Foresta, claws, Commoners Charter, dogs, expedited, Forest, hunting, lamed, law, lawed, Lymington, Lyndhurst, Magna Carta, maimed, mastiff, Museum, New forest, paws, poaching, terrier, toes, Verderers, walking, William Conqueror. Bookmark the permalink.